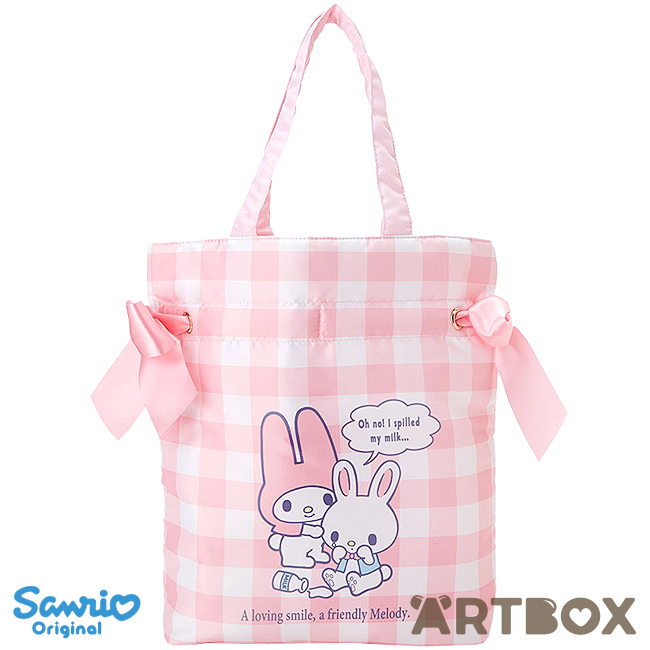 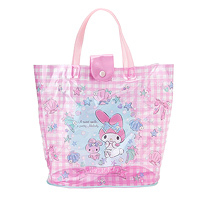 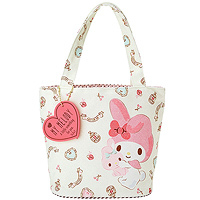 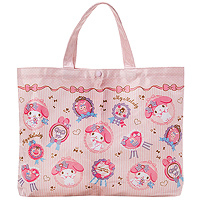 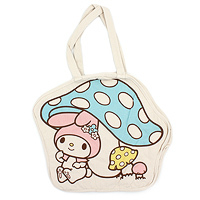 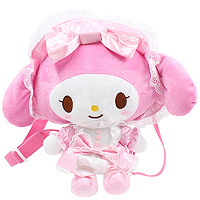 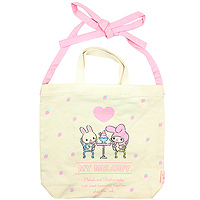 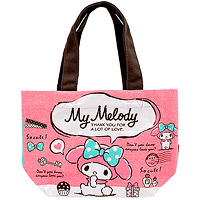 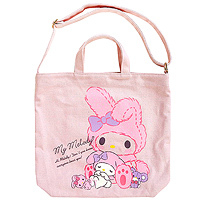 This gorgeous My Melody Sweet Days series is perfect for everyday use and will add extra cuteness to any outfit. 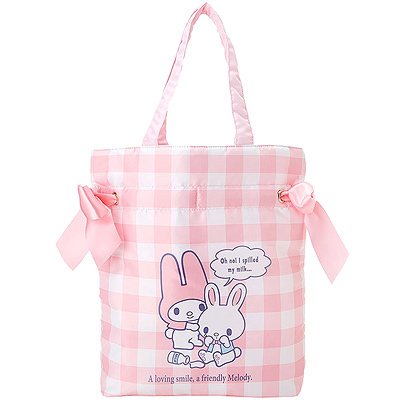 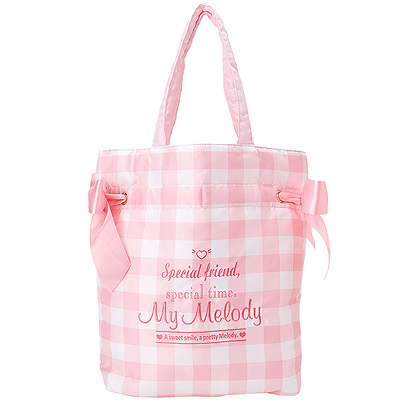 It's made out of slightly padded fabric with a cute print and the beautiful ribbon lacing detail can be used as a drawstring to close the bag. 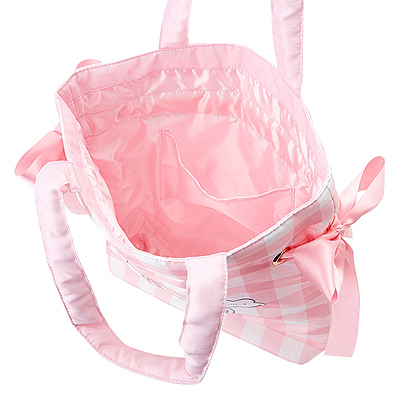 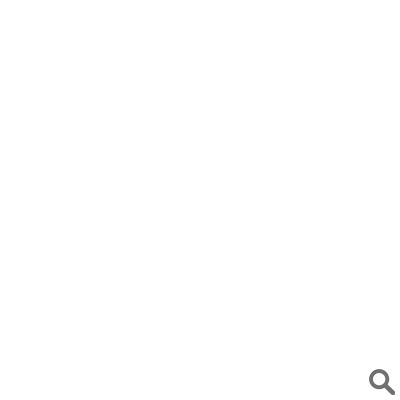 The inside is lined and features a pocket to keep you organised.